Authored by ngraham on Dec 28 2018, 8:16 PM. 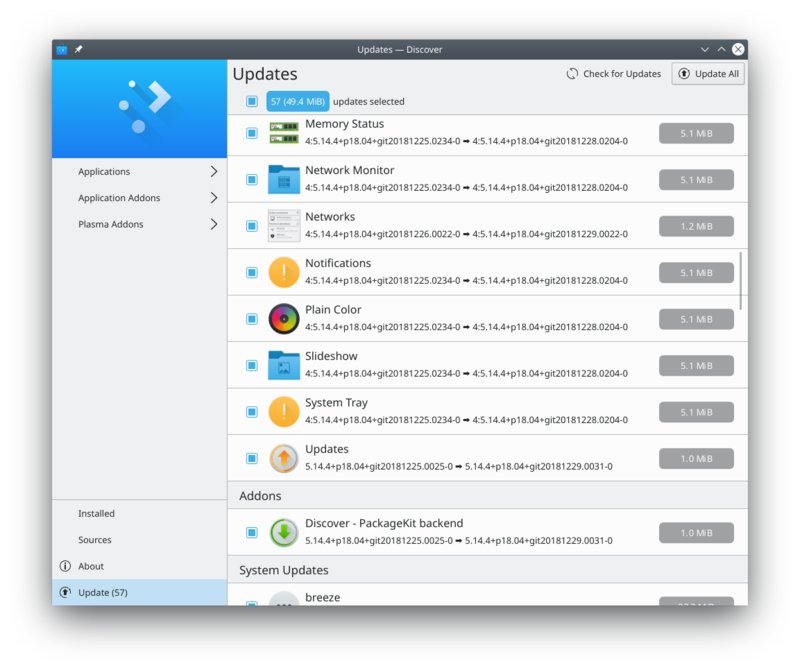 Show the installed and available versions of each app and package update on the delegate rather than hidden away. Looks good to me. Is it still RFC or you think it's good to go? I wonder if we can try to be a bit smart by only showing the postfix that changes on the "% -> %" bit, maybe it's not a great idea. It works fine for others though. I tried to fix it in this patch, but it didn't work. :( Help would be appreciated. 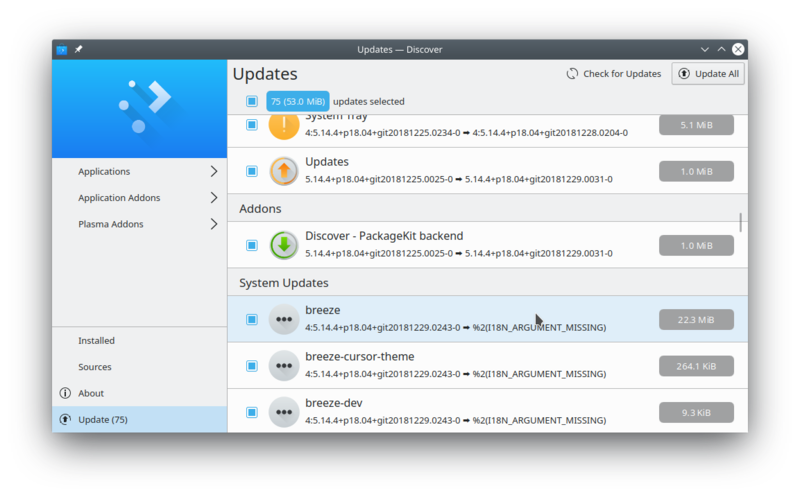 ngraham added a dependency: D17922: Make sure update packages have been resolved.